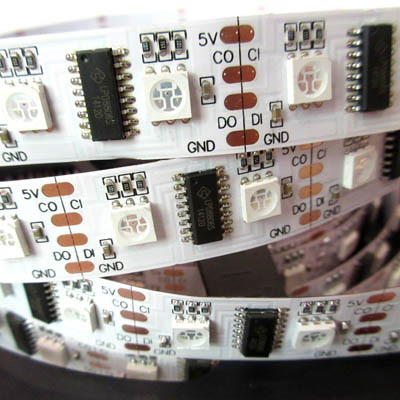 LPD 8806 Magic Color LED Strip is consist of LPD8806 non built-in IC , SMD 5050 LED and FPCB. 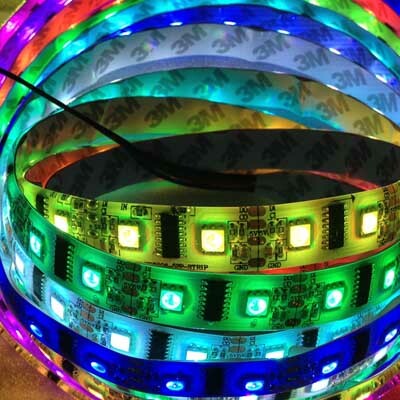 You may curious about why we call it magic color led strip, because lpd8806 led strip not only can be made RGB, but also can be made RGB+W, RGB+WW and do on. Beside, we can make it work under 5 voltage and 12v voltage. Under 5 voltage, we have 32/48/52/60leds per meter for your choice. Under 12 voltage we have 36leds per meter for you.